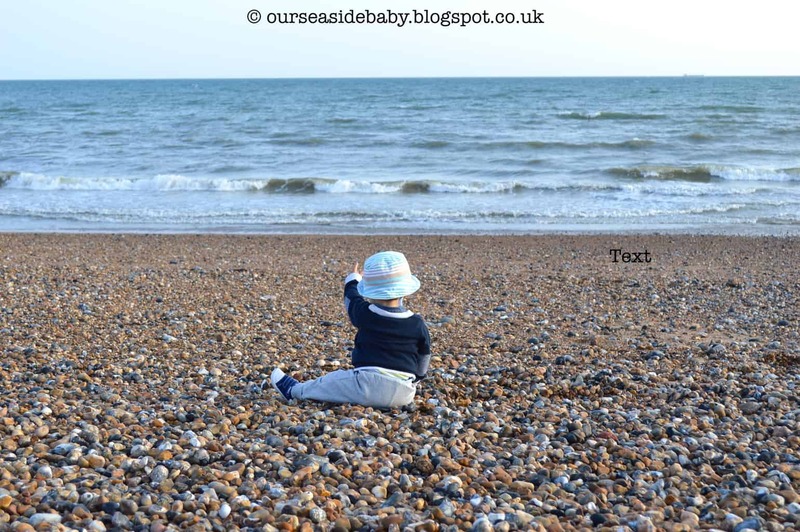 I’m Polly (aka Brighton Mama) from Our Seaside Baby blog. This is the first time I have guest posted on another blog and what a wonderful blog this is! I first came across Belle du Brighton when researching moving down to Brighton a few years ago, offering me an insight into life in the city! Now, as a blogger myself it’s lovely having met Lauren & being part of the local community of bloggers. Many congratulations to Lauren and family on the birth of Arlo! He is absolutely gorgeous. Anyone who has had a baby or is thinking about having one probably thinks a lot about where they are going to live, what that location can offer a child and the future ahead. Our little boy is nearly two now, eek! How did that happen? Time has whizzed by and before you know it baby is a toddler. We live here in Brighton, a short walk to the seaside. Toddler absolutely loves the sea and gets so excited whenever it’s in sight. Or if we’re at home and he spots a photo of the sea he says ‘seeeeeeaaaaaa’ in amazement! He loves throwing pebbles, running up and down the slopes and going very close to the water (sometimes too close!). We’ve also been in the sea with him. I figured we couldn’t live by the seaside and never go in it so we waited until the sea was at it’s warmest (September or October) and went in for our first dip last year. He was quite young then but seemed to enjoy it. This year though, he’s older, more active and confident and I’m sure he’ll love it. I gave birth in the Brighton hospital overlooking the seaside and we have lived here ever since. It’s funny to think that toddler is a true Brighton boy. I’m not from Brighton and nor are any of my family, they live two or three hours away. This means we don’t get much support when it comes to childcare and I sometimes think it would be better living nearer to them or wonder where the perfect place to live would be. Saying that though, whenever I go away from Brighton I do start missing the seaside. Not just sitting on the sea, but walking along the promenade, toddler running along side of me or being his cheeky self and running up to dogs or hiding behind the beach huts! I love staring at the sea, looking into the distance, admiring the sun glistening on the waterline on those hot summer days, seeing the vibrancy of people of all ages enjoying life by the sea. I see little babies sitting with their parents and children who have finished school for the day, still in their uniforms, coming to play on the seaside in the late afternoon before dinnertime. And of course, Brighton has the lanes, the pier, the pavilion, lots of wonderful landmarks, some great parks and an abundance of amazing restaurants & cafes. So although I sometimes think it would be nicer to live nearer to family or somewhere quieter in the countryside, living here has so much to offer. There isn’t just the seaside in Brighton, there are so many activities and events for children and some stunning countryside nearby. So, at this moment in time, with summer just around the corner, I can’t think of a better place to live. Where do you live? What’s your ideal location? Thank you heaps for the guest post to Polly, first guest post of many I hope! Please do follow her blog and twitter etc, she’s definitely a lovely lady! Previous Post Stuff on a Sunday #25 – three become four!